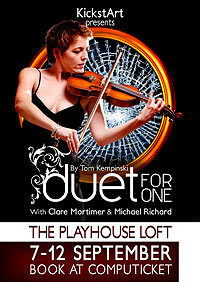 Duet for One is an absorbing and fascinating play about a virtuoso violinist stricken with multiple sclerosis and her relationship with her psychiatrist. The point of reference for the story is the life of famed cellist Jacqueline du Pré, who was diagnosed with multiple sclerosis, and her relationship with her husband, conductor Daniel Barenboim. "Well cast, beautifully designed and devastatingly developed…"
"This highly acclaimed play was first performed in 1980, revived on the London stage last year, playing to packed audiences, and these two South African actors more than do it justice. Make a point of seeing this astonishing set of performances and work." 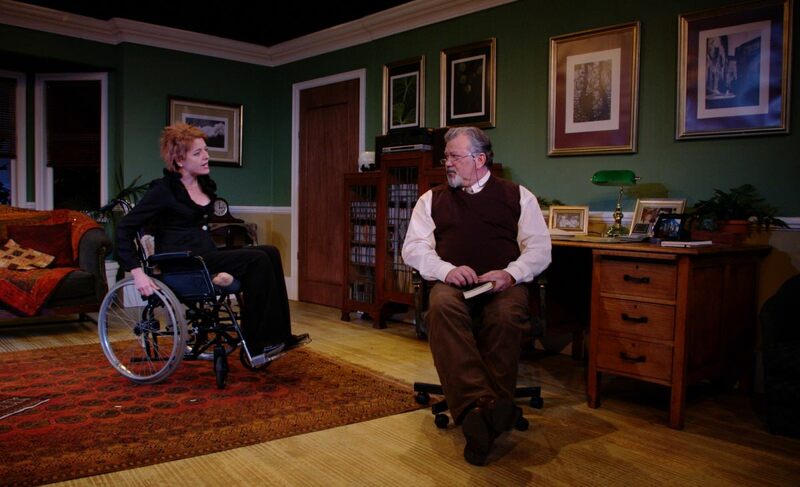 "This production is witty and weighted in a way that engages audiences… Clare Mortimer… evokes empathy without trying to pull any heartstrings… Richardson's portrayal is masterful…"
"*****Five Stars: A deep, moving and insightful watch." 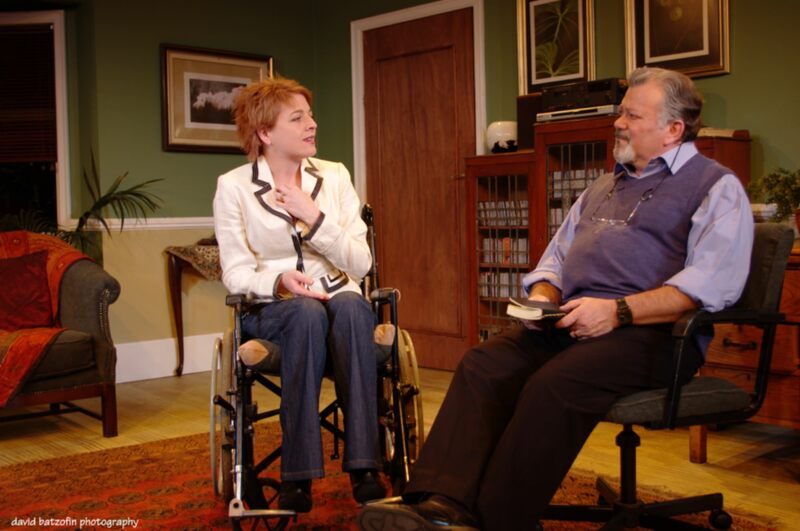 "Deeply touching… Clare Mortimer is outstanding… Greg King's set is an evocative one and beautifully captures the look and feel of a cultured doctor's consulting room. Sound and lighting are both spot on." 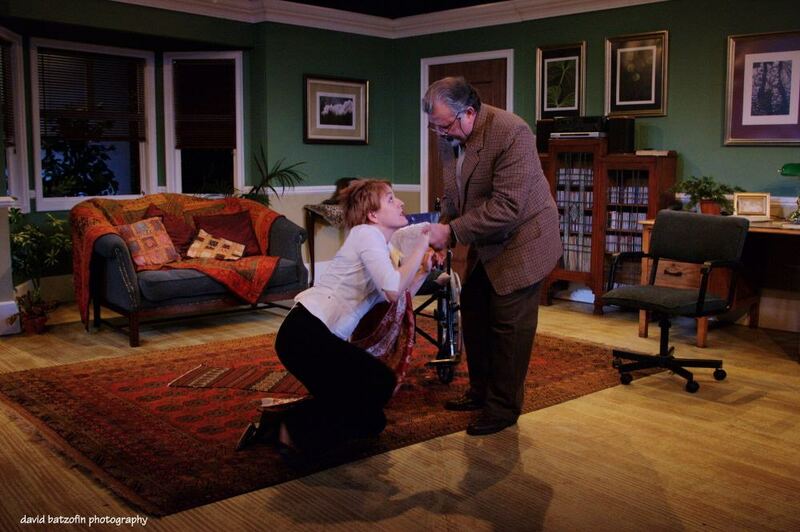 "Mortimer gives a bravura display… Richard… a sublime and powerful reading… The play's chief asset is its reality and promise of hope. Director Steven Stead has brought character and mood together into a highly watchable package." "Duet for One is a remarkable two-hander which, under the direction of Steven Stead, proves to be one of Durban's best treats in a rather lean theatre year."